I like this type of picture...would have wait a little to see the man better... too shy ?! Great colors and textures and I like the framing a lot. Nice colors and scene here, well done! Beautiful frame, details, and tones. Beautiful tones and perspective. Well chosen the framing. Excellent framing and perspective. Lovely details and tone. The man walking creates an interesting mood in this image. It's breathtaking opening your picture! light, golden tone walls, these beautifully framed arcardes! It's really a beautiful image! There's a wonderful texture and depth to this shot. And a figure photographed at just the right moment. Bravo! This image glows! Love the depth and texture as well. The arches make a beautiful frame. The color is rich and warm. And the placement of the man walking up the steps provides the perfect point of focus. Wonderful! 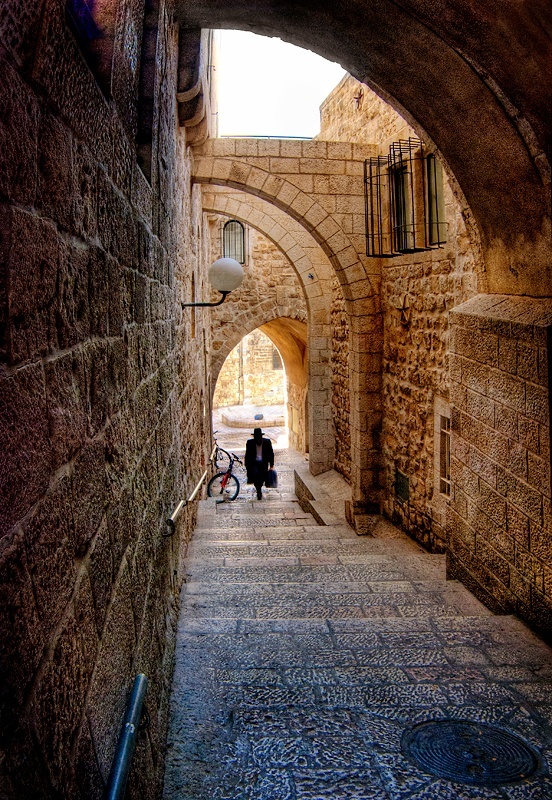 Another super shot from Jerusalem. Perfect composition, Andrey! Fantastic picture! I love the crispness and the colors. Well done!